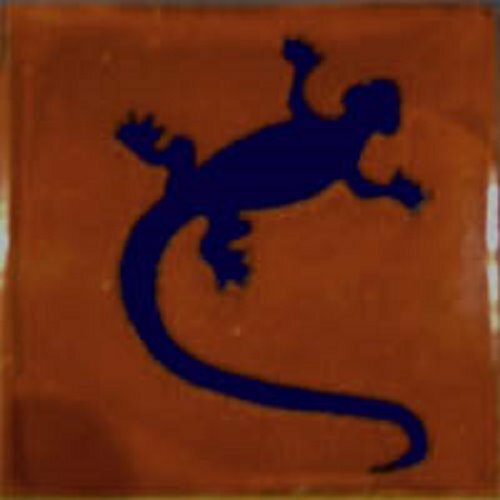 Mexican tiles in "Brown Lizard" style present an animistic pattern of a red lizard over a brown background. If you are looking for darker shades in your remodeling, those hand painted tiles will go perfectly on walls and star risers adding Mexican feel to the room. You can use them as accent design on your kitchen backsplash or bathroom counters.